They lived with over 150 lions. In the house! Truly a family affair and a labor of love that you and your family will enjoy time and time again. Now available on DVD in the USA. The idea grew from Tippi Hedren and her husbands passion for cats -- VERY, LARGE CATS!!! Now, for the first time, you can share the experience at home with your family and friends. Roar The Movie - Now on DVD! Get the T-shirt or the DVD. Get both and add them to your collection. 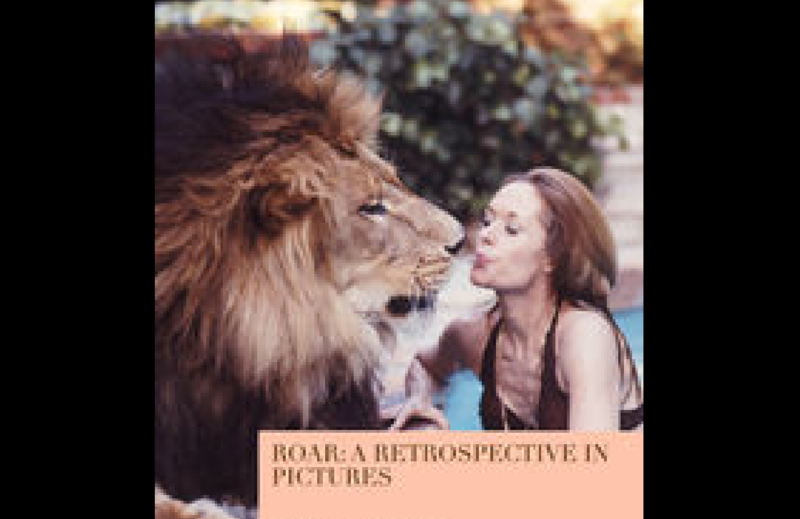 Producer John Marshall tells a unique story about his family living with lions and tigers when creating a movie together: Roar, starring his stepsister Melanie Griffith, stepmother Tippi Hedren, brother Jerry Marshall and dad Noel Marshall. The book shows a one of a kind private photo collection of product stills and other photographs taken over a period of 15 years. This is the first time a compelling story about the bond between animals and people is told in a narrated picture book. Copyright © 2017 ROAR - John Marshall. All rights reserved. Republication or redistribution of content is expressly prohibited without prior written consent. Disclaimer for all products: shipping could take as long as 4-6 weeks, but we anticipate sooner.